The title makes it sound like a self-help book but it’s not. 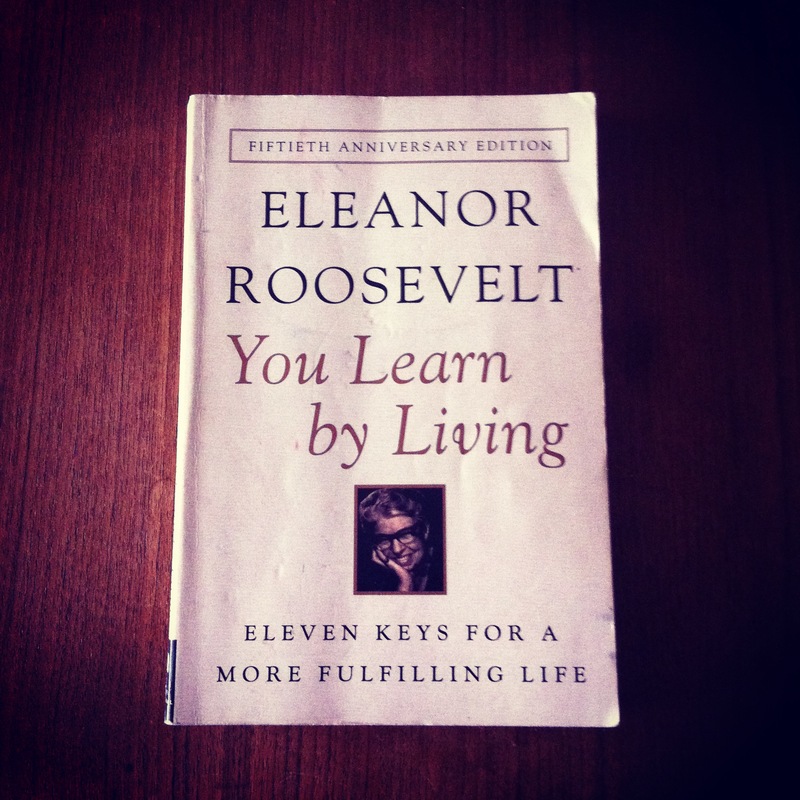 It’s ex US president Franklin’ D. Roosevelt’s wife, a smart, remarkable and privileged lady, sharing some of the things she learned throughout her life. Through the pages you can feel who she is and her background, a background I am fairly sure few of us share. But that’s really not the point. The point is that she’s so honest and warm in what she says and so human and honest. And she’s not afraid to be vulnerable and tell true stories. And yes, there’s a tone of good advice in this book. As you can see I have been studying it intensely: it rained on it, my lunch box leaked on it and many other stuff. But it stays strong just as the lady who wrote it.